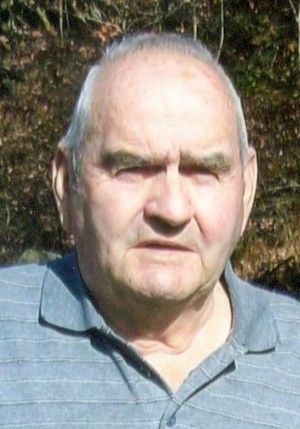 Our beloved husband, father, and paw-paw, Tommy William Dooley Sr., 74, of Roanoke, Va., went to be with the Lord on Wednesday, January 20, 2016.He was preceded in death by his parents, John Marshall and Mae Dooley; and two brothers, Marshall Jr. and Boyd Dooley.He worked for the Virginia Department of Highways but retired from Fleetmaster Express Trucking. He enjoyed league bowling for many years and NASCAR racing (go Dale Jr and Denny). He was a dedicated deer hunter.He is survived by his wife of 53 years, Hazel Goodwin Dooley. Also surviving are his children, Marlenea (Kay) Jackson and husband, Thomas, and Tommy William Dooley Jr. and wife, Deborah; brothers, Kenneth D. Dooley and wife, Robin, Lewis W. Dooley and wife, Nancy, Donny L. Dooley and wife, Sandy, and Robert E. Dooley and wife, Vicky; grandsons, Matthew Whorley and wife, Honey, Bradley Dooley and Greg Dooley; great-grandson, Haylee CocKran-Whorley; great-granddaughter, Kaydence Kingery; and numerous nieces and nephews.